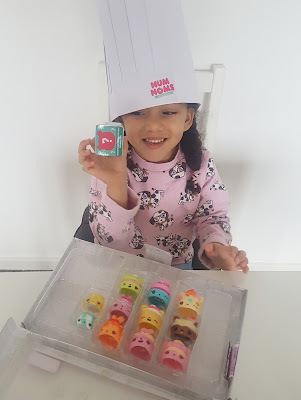 If you are a regular reading of the blog you will know that Darcy is Num Noms mad!! 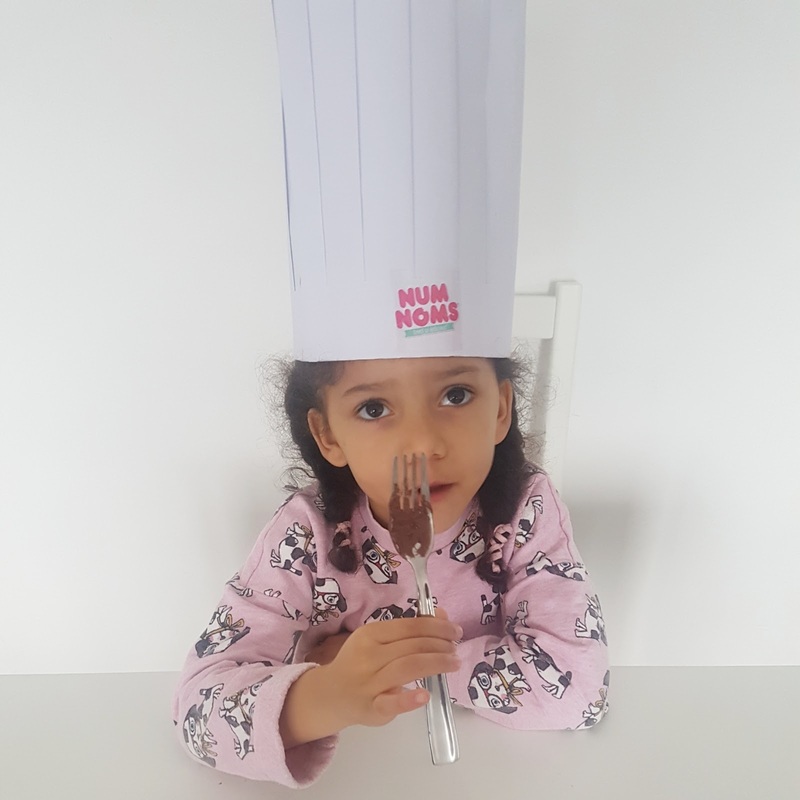 So when they asked if we would like to Celebrate National Chocolate day of course we said Yes!! 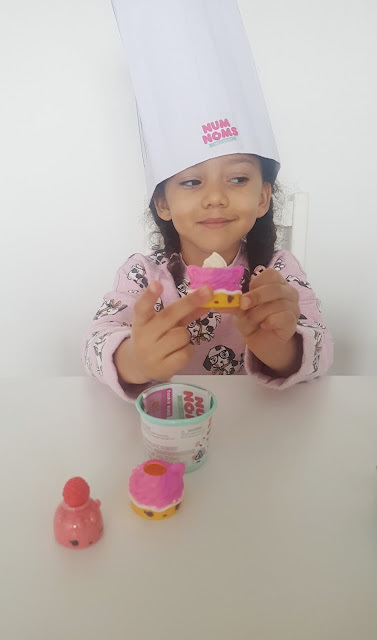 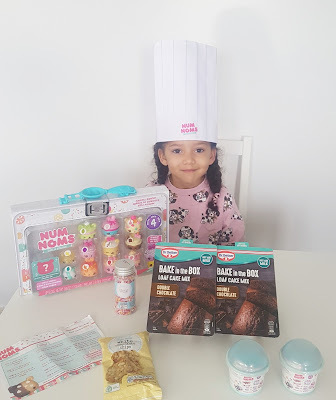 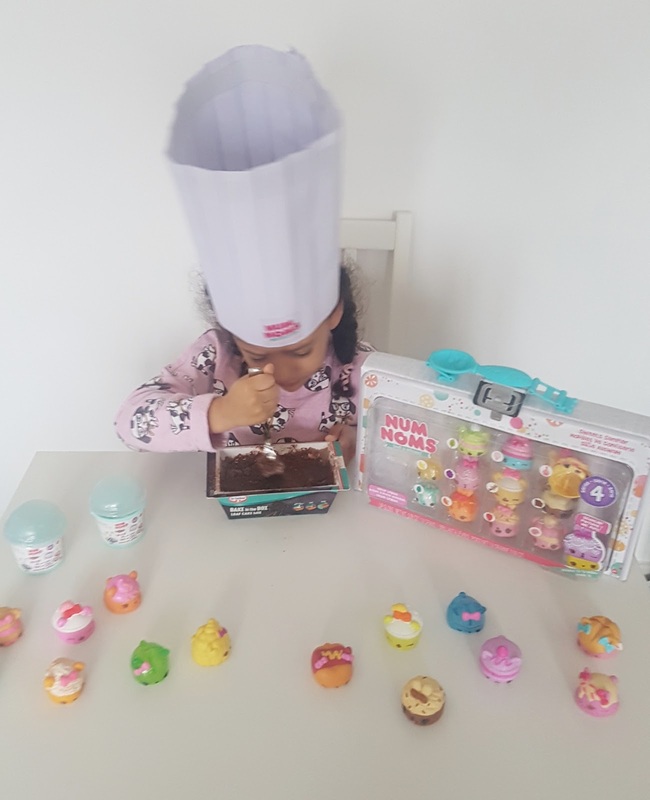 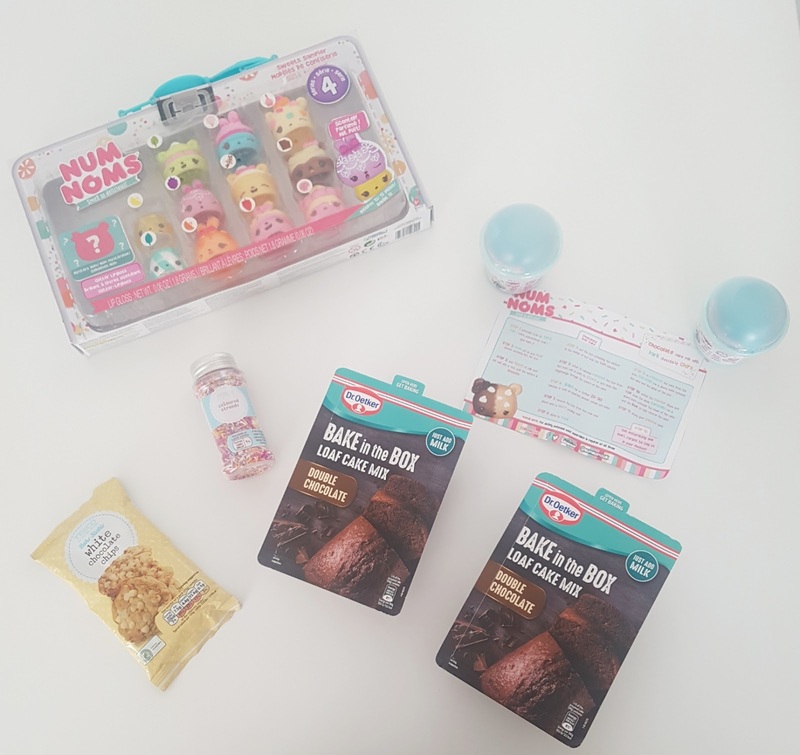 We were sent everything we would need to bake a yummy chocolate cake and more, cake ingredients, Num Noms Series 4 Deluxe Pack and two Num Noms Mystery Pots and a chef hat. Darcy loves to bake and loved getting stuck into mixing the cake batter,you can't bake a cake without licking the spoon (ok fork) afterwards. Don't do what I did and get engrossed watching The Chase as it will end up with a loud fire alarm going off and a very burnt cake. 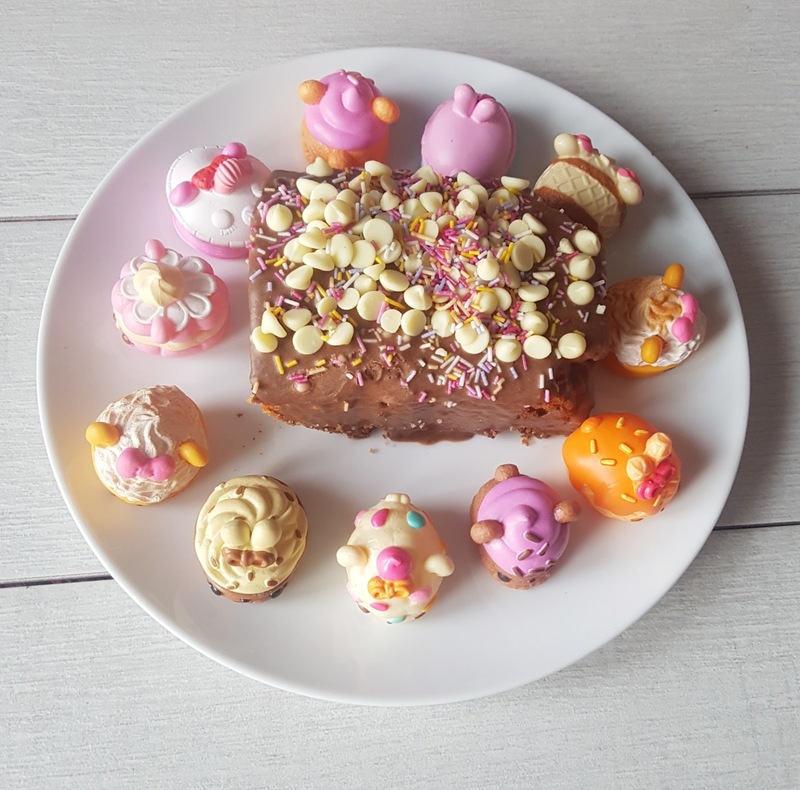 Luckily we were sent enough ingredients to make another one and here is the finished result. Num Noms Series 4 Deluxe Pack comes with 12 Num Noms in total, including a mystery Num Nom and two lip glosses and the mystery pots come with a Num Nom and a nail polish or a glitter lip gloss. Hold tight as series 5 is being released soon. 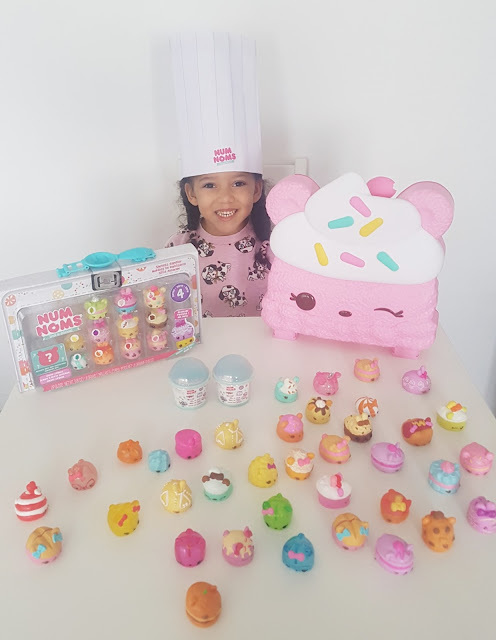 I wonder what cute, scent Num Noms will be ready to add to D's ever-growing collection?. How will you be celebrating National Chocolate Cake Day?